Did someone say UnliPizza? 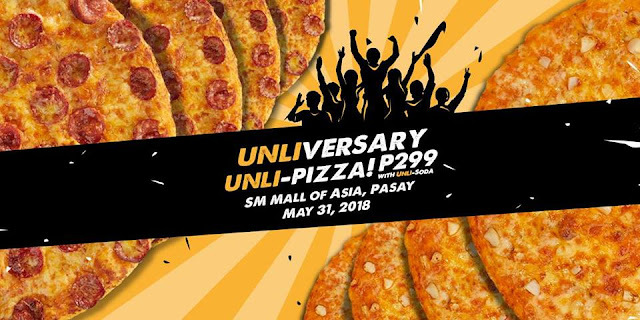 Yellow Cab Commerce Avenue and Festival Mall, are celebrating their anniversary with UNLIversary Promo on May 14, 2018, while SM Mall of Asia is celebrating its anniversary with Unliversary Promo on May 31, 2018! Enjoy all-day unlimited New York Classic Pizza, Gilroy Garlic Pizza, and bottomless Mountain Dew for P299.